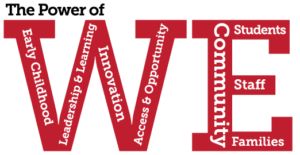 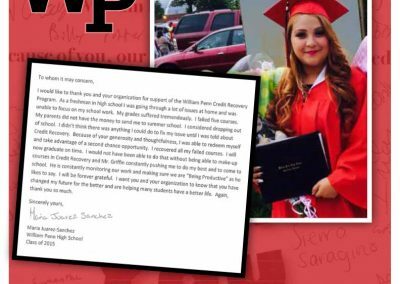 Colonial School District is fortunate to have a group of business leaders, dubbed the Graduation Advisory Board, who provide school leaders with access and opportunity to resources that support student graduation from William Penn High School. 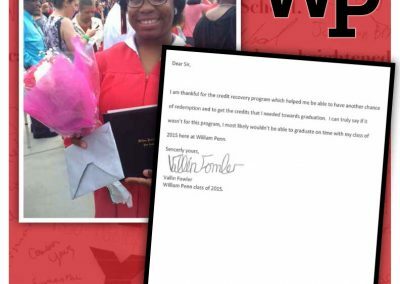 The group formed in December 2012 as a result of Murray Berstein’s insistence that ALL students must graduate from High School if they are going to live productive successful lives. 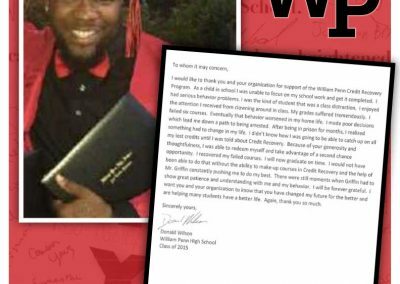 He couldn’t stand the fact that students were dropping out of high school and he wanted to do something about it. 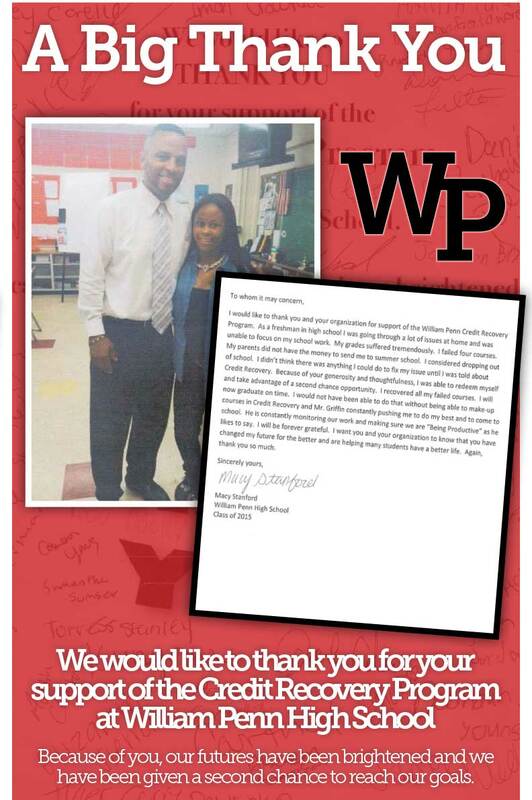 Since that time the Graduation Advisory Board has been a tremendous resource in making Murray’s vision come true. 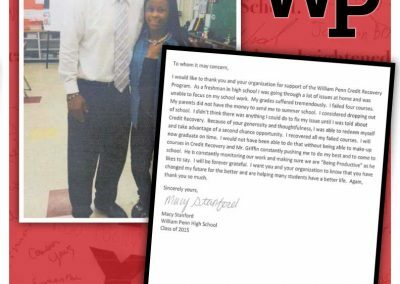 Since January of 2014, the group has raised outside funds, donated to the Colonial Educational Foundation in support of dropout prevention programs. 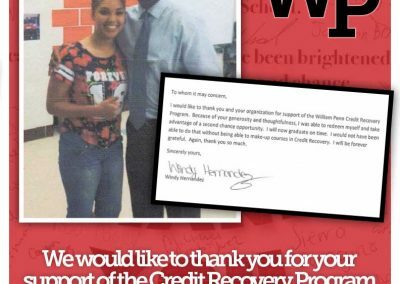 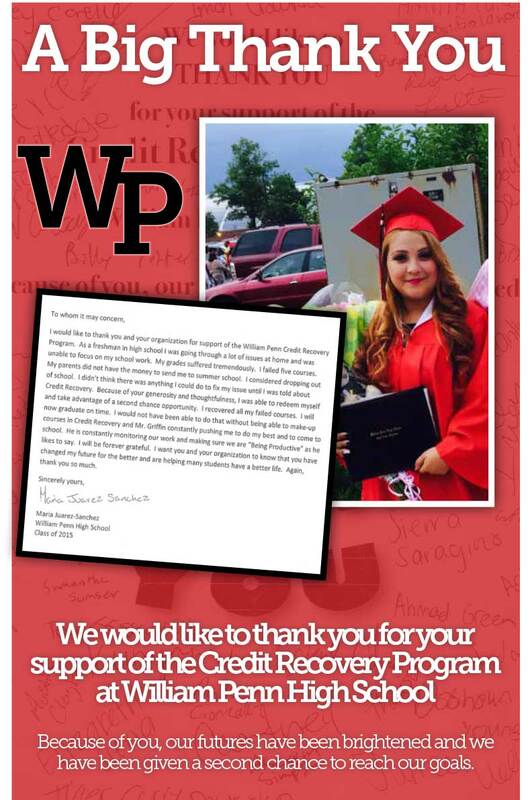 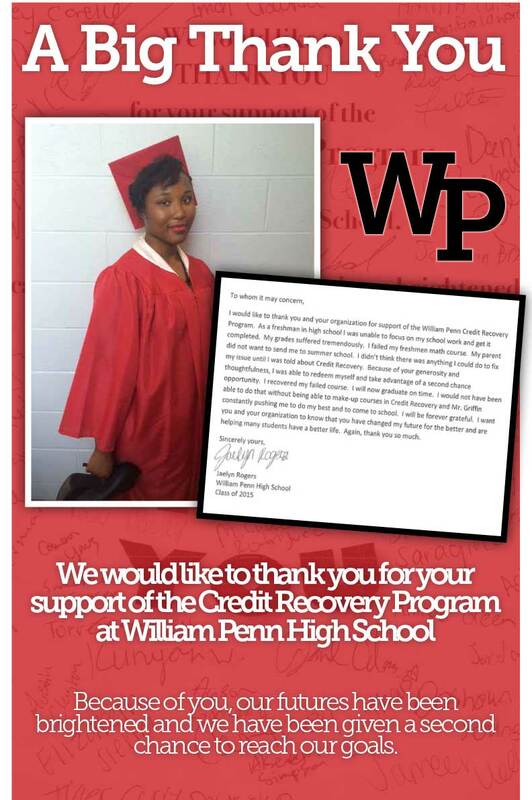 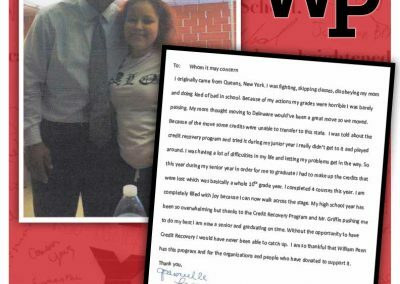 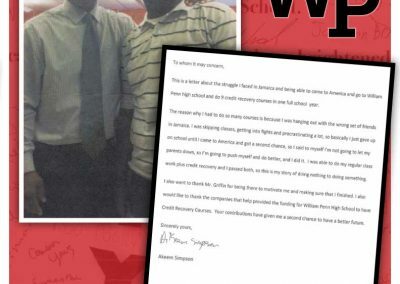 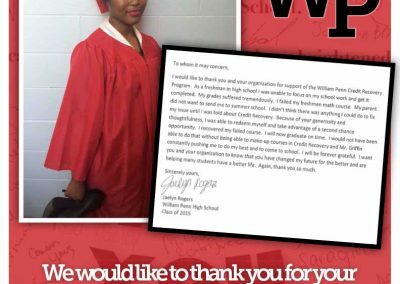 Last year those funds were used to support an additional Communities in Schools resource to William Penn in the form of a full-time Graduation Coach/Credit Recovery Specialist. 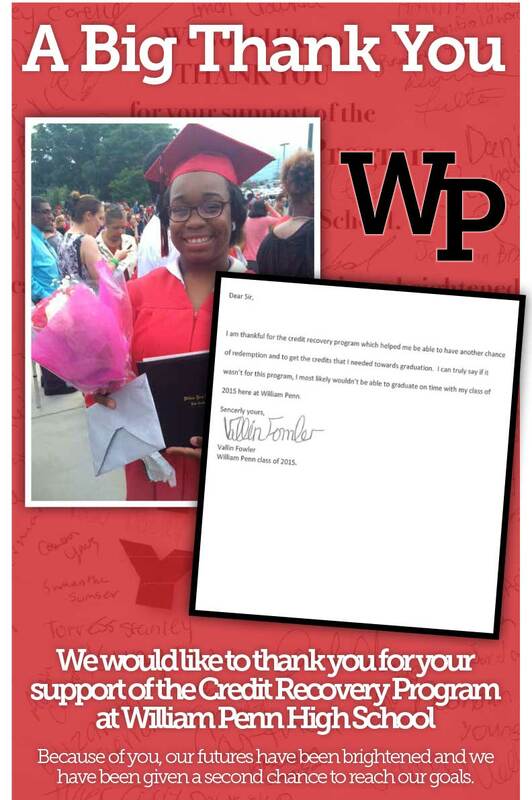 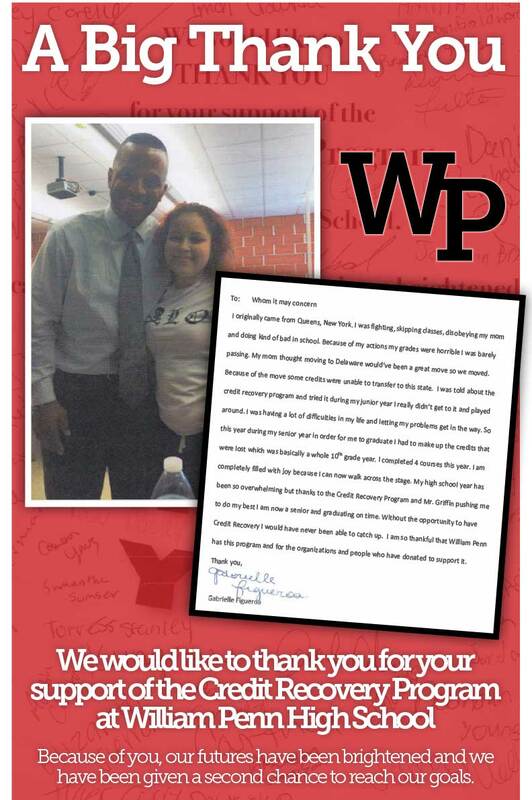 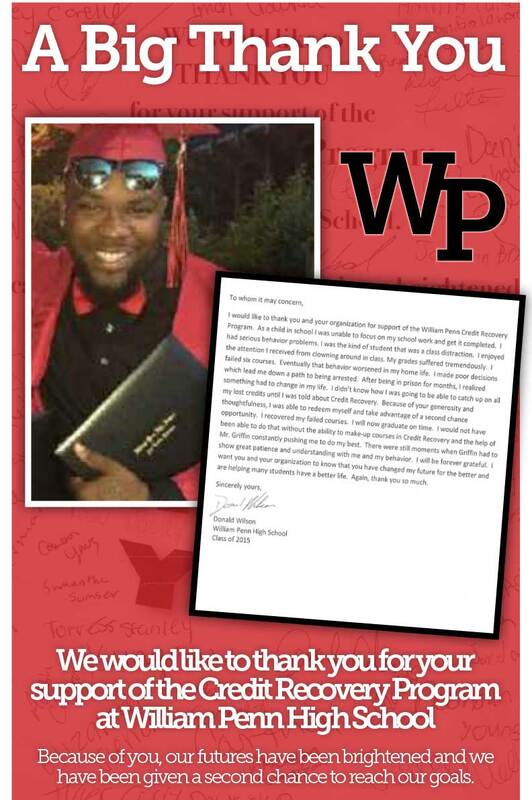 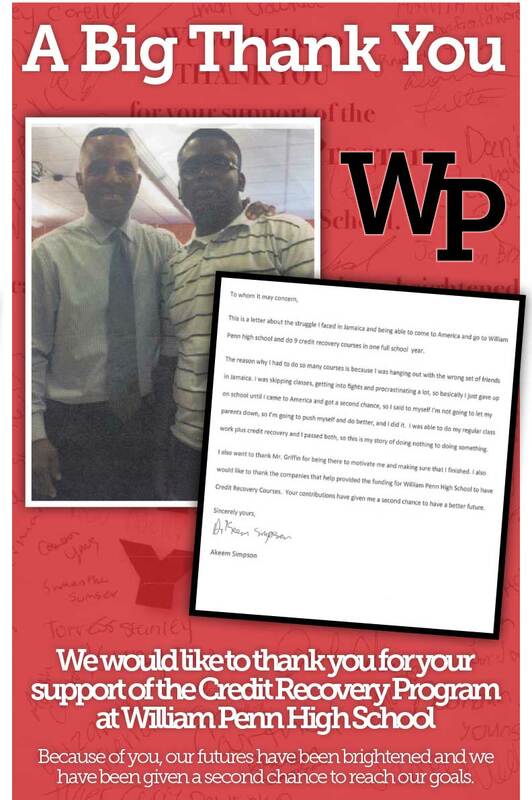 Through efforts of this specialist, in addition to the hard work of countless Colonial educators, William Penn graduated the largest 12th-grade class in recent history.